From the minute you spy the gently undulating sea of terracotta roofs lit by year-round sunshine, Lisbon starts to cast its spell. 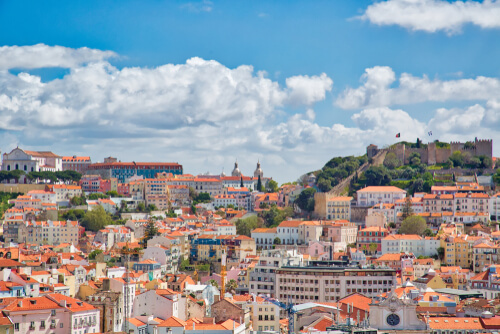 Portugal’s capital, spilling down from seven hills to the Tagus River, is one of Europe’s most scenic cities. While you won’t set a foot wrong exploring any of central Lisbon’s cobbled backstreets and elegant avenues, these barrios (neighbourhoods) are a promising starting point. 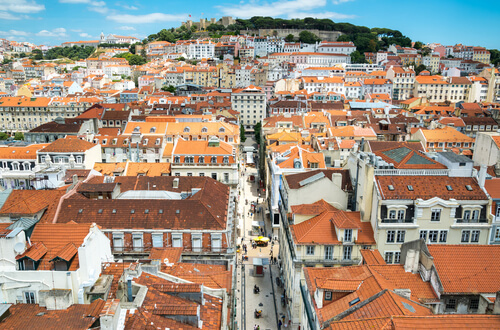 Many visitors base themselves in stately Baixa, at Lisbon’s heart. The suburb’s superb architecture harks back to the devastating 1755 earthquake when Marquis of Pombal took rebuilding as a chance to propel Portugal into the Age of Enlightenment. Under his controversial rule grand boulevards such as Avenida da Liberdade and expansive plazas including Praça do Comércio paved with classic Calçada Portuguesa tiling, sprung up across the neighbourhood. Today, locals and tourists alike flock these squares and thoroughfare, to hop between stores and socialise at open-air cafes. One of the area’s most popular sights is Elevador de Santa Justa, an ornate cast-iron elevator that whisks passengers up a steep incline to neighbouring Chiado and the Carmo Convent ruins – a haunting memorial to the destruction of 1755. This trio are some of Lisbon’s most atmospheric localities. Where Baixa’s streets are expansive, the narrow laneways of these historic neighbourhoods lead to hidden pockets where locals lean out of windows to gossip and hang washing. Chic Chiado hums during the daytime, as crowds explore its high-end boutiques and galleries or relax at restaurants in sunny plazas. As day turns to night, the improbably steep streets of Barrio Alto and former red-light district Cais do Sodré come to the fore, with tiny bars pulsing into the wee hours. Towards the waterfront in Cais do Sodré, the Time Out Market has become a must-do to sample some of Lisbon’s best food. 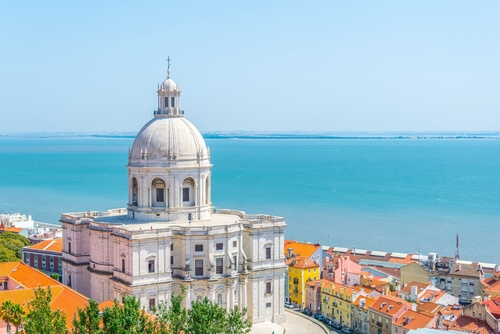 To the west of the city centre, Belém boasts many of Lisbon’s big-ticket attractions. It was from the Belém waterfront that Portuguese explorers set forth into the world – a seafaring past memorialised in the extravagant Padrão dos Descobrimentos monument to the Age of Discovery (climb to the top to survey the Tagus estuary). 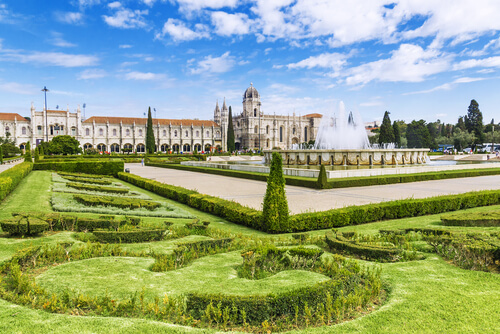 The great wealth at the height of the Portuguese Empire is immortalised in Belém’s two UNESCO-listed monuments: the intricate 16th century Jerónimos Monastery and Medieval fort Torre de Belém. Once you’ve had your fill of history, make a beeline to Pastéis de Belém – the home of Lisbon’s moreish, custard-filled Pastela de Nata. Last but not least, ancient Alfama is an essential stop. 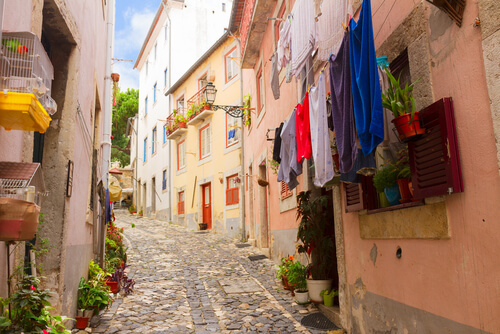 The cobbled laneways of this beautiful neighbourhood loop up one of Lisbon’s hills to the Moorish castle Castelo de São Jorge. The site has been used as a defensive stronghold since Roman times, and the popular ruins are one of the best spots in Lisbon to watch the sun sink. Puffing up the hill from Baixa and back is well worth the effort to explore streets lined with blue-tiled houses, and stumble across traditional fado bars where music floats out into the balmy evening air.